My Pinterest account is filled with boards on home decorations and one of my favourite photos is this. 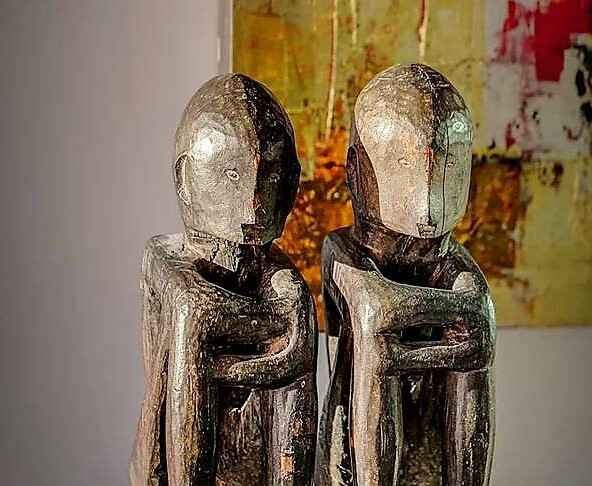 The idea of antique Bulul rice gods from Ifugao tribes with an Ivan Acuna abstract paintings in the background is somehow aesthetically correct in my point of view, captivating is really the right term. So imagine my delight when I come round 1335Mabini in Karrivin Plaza earlier today to attend a presscon for a display that will be held starting this weekend. 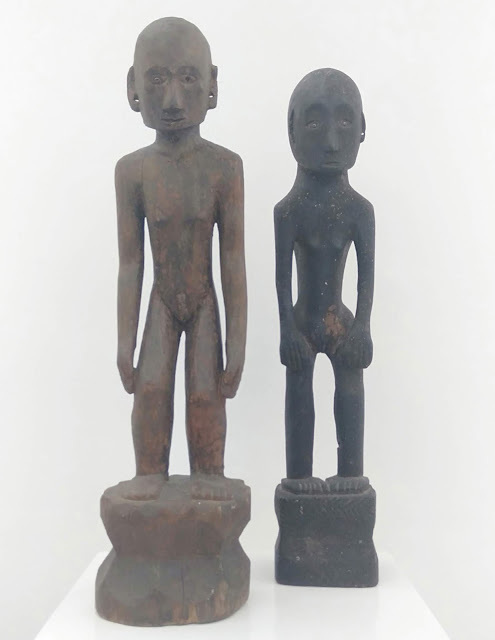 Most Filipinos knowledge of carved wooden figures may be only those that are commercially sold in Baguio but we don’t really know much about the ones that can be found in Ifugao, the rice deities or the Bulul. Same goes for Filipino artists that are popular in abstract arts. 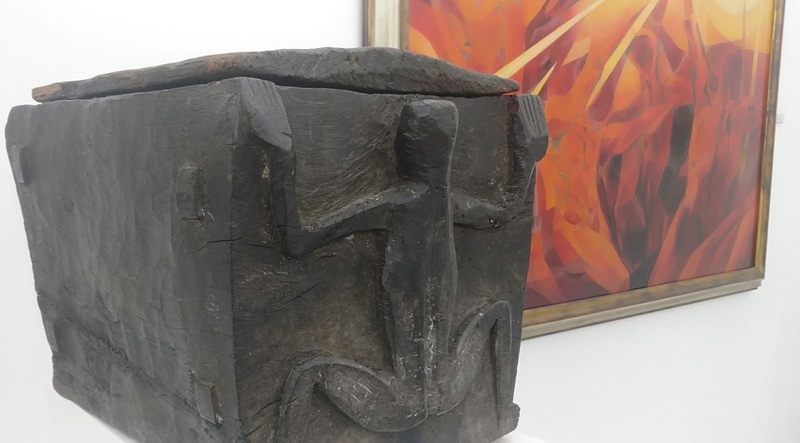 But that is about to change as beginning February 16, 2019, there will be an impressive collection of traditional Cordillera pieces that will be seen in public alongside artworks by 20th and 21st-­‐century Filipino abstract artists. This will be a first time in the gallery art scene in the Philippines.  Not only that but a three­‐part book, JUXTA:POSITION (The Aesthetics of Reduction), will be made available to the public. In it, Kurer goes into greater detail on the aestheticism of the carvings of the Cordillera peoples, which he says can also be perceived and described utilizing an artistic vocabulary similar to the one of the Abstract Art movement. The second and third parts highlight the bululs, boxes, kinahu, and spoons of the Cordillera peoples, mostly from the 19th century and earlier, and a number of abstract paintings from Filipino artists, as photographed by At Maculangan of Pioneer Studios, Manila. Yet, through the simplicity, directness, discipline, the reduction to the essence, understatement, and the ability to show a hidden reality, it does according to Kurer. This approach, Kurer adds, is not to subordinate traditional Cordillera art to the viewpoint of “modern” or “fine” art point of view but to allow both sources to be looked at on the same level.